I seldom go to library but yesterday I needed to go there to complete reading a large volume book on Master Honen while waiting my son at Lihue Library. I think this was my 3rd visitation at Lihue Library in my whole life. Needless to say, the library can be the most quiet place and good for reading. 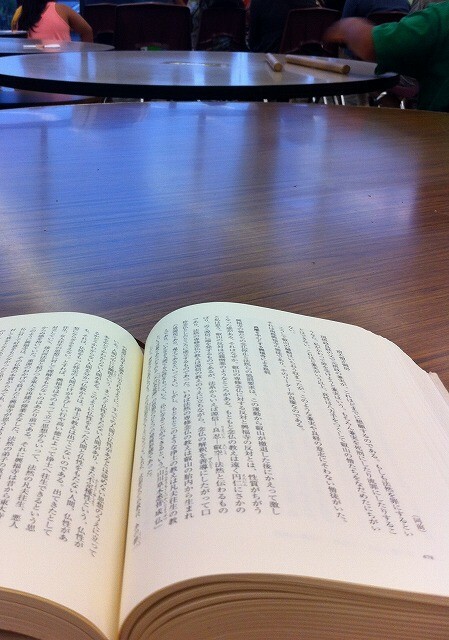 However, a little by little, people started to gather and I lost my concentration on reading. 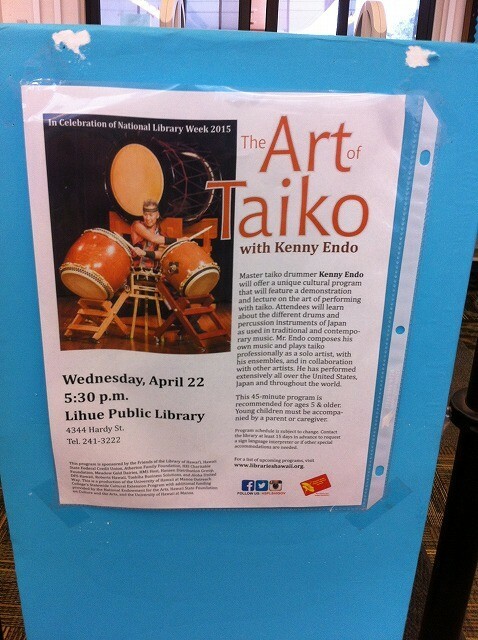 Then I saw some people carrying Taiko inside the library. At the same time, I saw many familiar faces and found out there would be Taiko performance by Master Kenny Endo from 5:30 p.m. Since my daughter and I never knew this event, we were very lucky to be there. The performance were awesome and his explanations on Taiko and Tsuzumi were excellent. There was also time for Q & A. It was funny Master Endo apologized making such a big noise at the library. It was true I couldn't read a book but the sound of Taiko made me forget reading and we truly enjoyed the moments. By the way, there was another lucky!!! 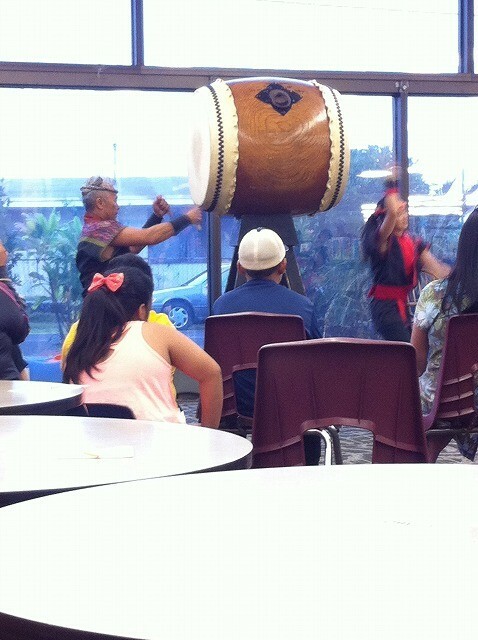 I met another Taiko Master Aki Conquest at the library and I was able to ask her group, Joyful Noize, to perform at Kapaa Jodo Mission Bon Dance on Friday and Saturday, June 12th and 13th. Yes, Bon Dance is coming so soon!